Cattle farmers across the High Risk and Edge Areas of England are eligible to receive FREE, bespoke advice on practical, cost-effective measures to reduce the risks associated with TB. 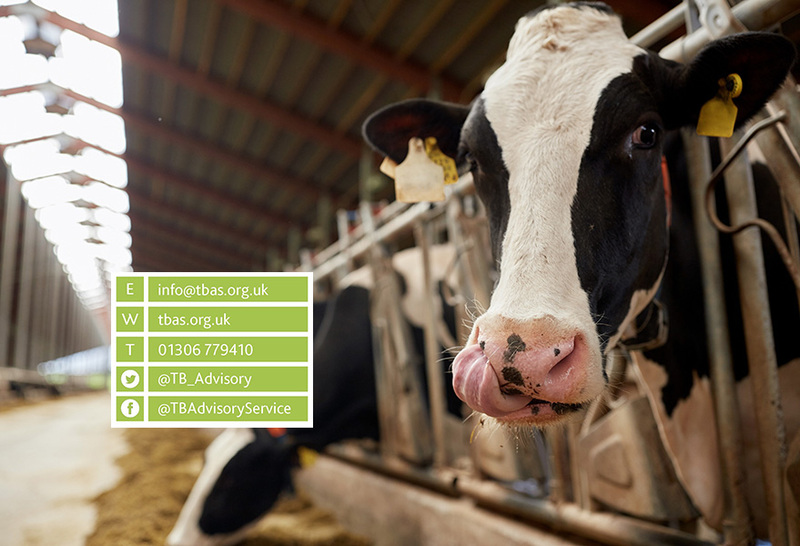 The TB Advisory Service offers one-to-one on-farm advice visits, where experienced advisors can provide bespoke recommendations to prevent TB incursions in herds that are currently clear, whilst discussing trading options and measures to prevent repeated reinfection for farms that are currently under TB restrictions. A telephone advice service and ‘drop-in clinics’ are also available for farmers with specific questions about bovine TB and biosecurity. The project is funded by Defra and the EU through the Rural Development Programme for England, and runs until 2020. FREE, bespoke advice on practical, cost-effective measures to reduce the risks associated with TB.